Via HockomockSports, we share the results of the FHS sports action on Tuesday, Dec 19, 2017. – Foxboro led by six at halftime (31-25) and extended that lead to as much as 15 in the second half but had to survive a furious late rally by the Panthers. Foxboro led 42-32 going into the fourth quarter but a 7-0 run from the Panthers cut the deficit to just four, 51-47, with 47 seconds left. Bobby Harrison hit a pair of free throws with 15 seconds left to make it a two-possession game. Matt Rongione scored a career-high 15 points for the Warriors while Joe Morrison added 12 points and sophomore Brandon Borde had nine points. Franklin sophomore Chris Edgehill had a game-high 17 points while junior Jalen Samuels added 15 points. 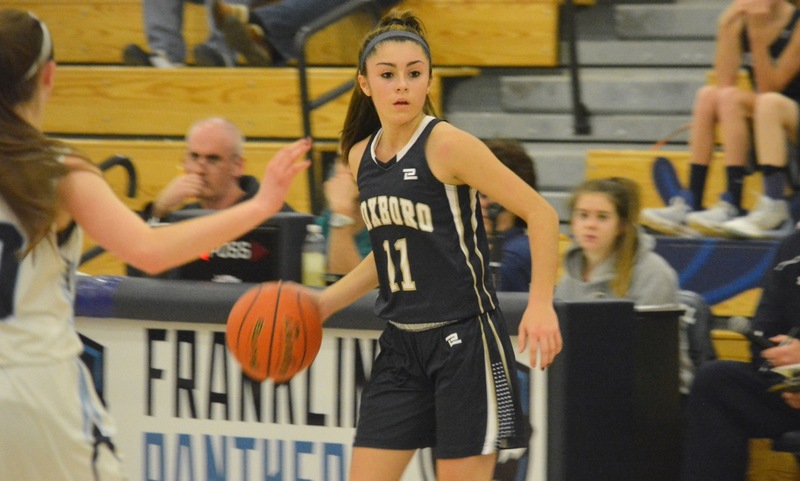 "With only a few minutes left in the first half, Franklin sophomore center Ali Brigham made a scored in the lane to put the Panthers ahead 17-12 against defending Davenport division champion Foxboro. It would be Franklin’s largest lead of the game. Up until that point, the Warriors were struggling to get anything going on offense during Tuesday night’s Hockomock League matchup. Three-pointers were clanging off the rim, the Panthers’ were dominating the glass, and Franklin’s zone defense seemed to have Foxboro off kilter. But the experienced Warriors settled down, started to knock down shots, and turned the game on its head in a hurry. After scoring only 12 points over nearly 11 minutes of the first half, they scored 12 in the final three-plus minutes of the second quarter and never looked back. Foxboro rolled off 20 straight points between the second and third quarters (including the first 18 points of the second half), closed the game on a 52-16 run, and ran out to a 64-33 victory."